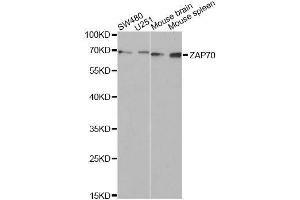 Western blot analysis of extracts of various cell lines, using ZAP70 antibody. 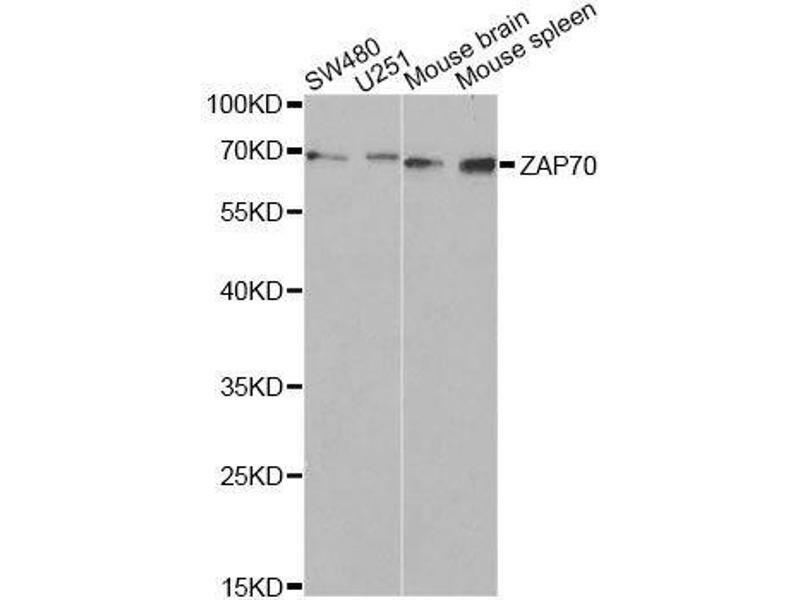 Immunohistochemistry of paraffin-embedded human amygdalitis using ZAP70 antibody. 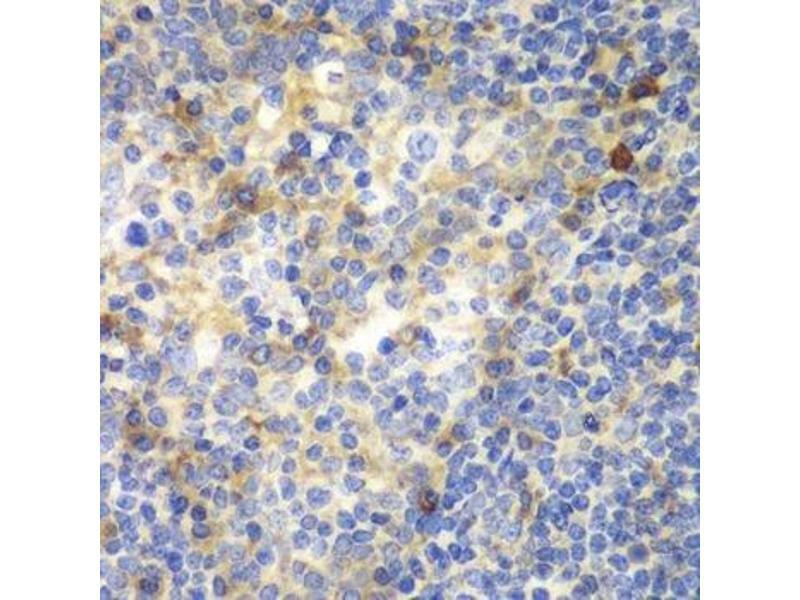 Background The Syk family protein tyrosine kinase Zap-70 is expressed in T and NK cells and plays a critical role in mediating T cell activation in response to T cell receptor (TCR) engagement. 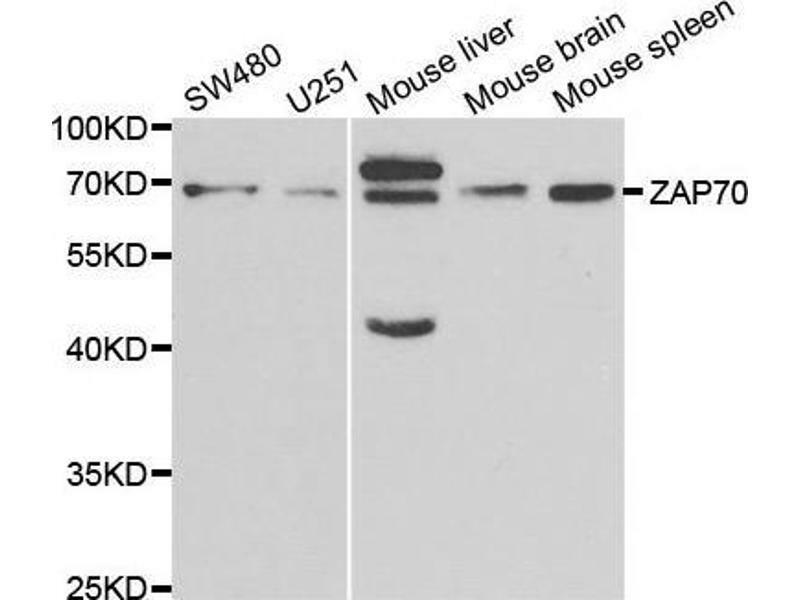 Following TCR engagement, Zap-70 is rapidly phosphorylated on several tyrosine residues through autophosphorylation and transphosphorylation by the Src family tyrosine kinase Lck. 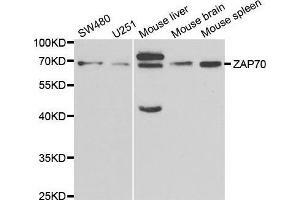 Tyrosine phosphorylation correlates with increased Zap-70 kinase activity and downstream signaling events. 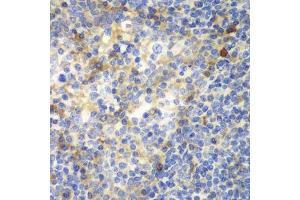 Expression of Zap-70 is correlated with disease progression and survival in patients with chronic lymphocytic leukemia.